"To Paragot I owe everything. He is at once my benefactor, my venerated master, my beloved friend, my creator." Thus begins the story of one of the greatest characters of English Literature - Paragot the lovable Bohemian and celebrated Bon Vivant. A young urchin from the London slums is adopted by the hero and given an adventurous education traveling through Europe, tambourine player in a group of ragamuffin musicians. Paragot, however, has a dark romantic secret in his past which threatens to change their lives. Can the boy's idol remain honourable and yet stay true to his values? The author of this exuberant tale was described as the `apostle of cheerfulness' and `The Beloved Vagabond' is a truly uplifting and heartening story with much intelligent humour, whimsy and a liberal dose of wisdom! It will enthrall and delight all free spirits. An absolute gem. 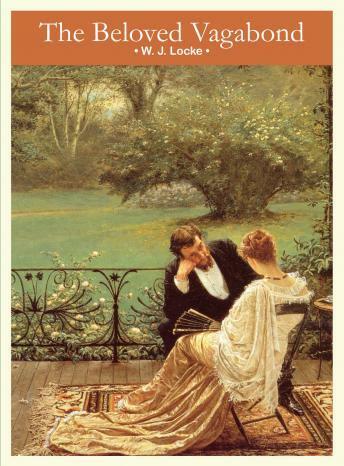 This hugely successful Edwardian romance, first published in 1906, is intelligent and heart-warming. Paragot is a bohemian, both wise and a braggadocio, who adopts an urchin from the London slums and travels with him on an alternative Grand Tour, playing his violin, drinking wine and imparting wisdom. An orphaned country girl, Blanquette, joins them and they live a utopian existence until Paragot's buried romantic past resurfaces. It's a splendid celebration of the open road, its buoyancy heightened by Peter Joyce's admirable narration which creates Paragot's exuberant theatricality with great skill.